A letter by Sen. Michael Bennet, D-Colo., and fifteen other U.S. Senators including Sen. Tom Udall, D-N.M., seeks guidance from U.S. Attorney General Eric Holder on whether or not Voter ID laws violate the Voting Rights Act. New Mexico Governor Susana Martinez and Secretary of State Dianna Duran are both staunch supporters of a controversial change to the law that would require all voters to provide identification before voting. According to the National Conference of State Legislators, 14 states have some sort of voter ID law that requires a photo ID. Seven of these states have “strict” photo ID laws where voters can only cast ballots with photo ID. If the voter does not have a photo ID, they can vote with a provisional ballot but it will not be counted if they do not return with a valid photo ID. Seven other states have less strict voter ID laws and 15 states have non-photo ID laws. Three bills in New Mexico that sought to require photo IDs to vote failed in the 2011 session. In Colorado, Secretary of State Scott Gessler testified before a congressional committee that nearly 5,000 people who were not citizens voted in the 2010 elections. Gessler based the numbers on who voted in 2010 from immigration numbers from five years previous — in which time more then 30,000 non-citizens in Colorado became legal United States citizens. New Mexico Secretary of State Dianna Duran recently went further and claimed that there could be 64,000 cases of voter fraud. This week, Duran walked back her claims in an interview with the Santa Fe New Mexican. All fifteen U.S. Senators that signed onto the letter are Democrats. As Mike Brown asked each question, more hands went up, until all but a few of the 40 youth had hands raised. In a hidden-away strip mall in the International District, youth leaders and representatives from many youth organizations gathered Wednesday evening to begin conversation on what a youth-led action plan to address youth violence in New Mexico would look like. He facilitated a heart-to-heart discussion about the state of youth in Albuquerque, focusing on how youth can work toward a less violent society. The input from the attendees, who ranged from middle school to college students, was honest and centered around two themes. First, they felt there was a need for more youth to take a stand as leaders, and second, that there was not enough support from adults, schools and organizations to allow youth to lead effectively. Another youth, Bryant Gomez, who has led efforts for increasing the voice of youth thought that the technology divide was a part of the problem in the communication gap between young people and adults. “Technology has become our hieroglyphics, it is our way to create our own history. Let’s face it, we are just too fast for you all!” he said to the adults in the crowd. One of the adults to respond to the challenges and indictments posed by the youth was Vernon Butler of Advocates for Equity. He confessed, “I think the adult world has lost focus about what is really important, and how we need to mentor our youth. The youth were honest about their own shortcomings as well, citing the lack of unity among themselves as a hindrance to making positive change happen. From the event, youth and adult allies decided that coming together again was a priority, inviting all youth interested in getting involved to contact the New Mexico Forum for Youth in Community. Organizations represented at the event included Advocates for Equity, UNM CLPS, UNM Office of Equity and Inclusion, Generation Justice (aka KUNM Youth Radio), NM Forum for Youth in Community, NM Youth Alliance, Santa Fe Community College, and the Native Health Initiative. *Of note- I would like to thank the following youth writers whose energy and input contributed to this story – D’Ana Alderete, Bheira Ugalde, Jamie Escarcega, Marilu Ugalde. Look for some pieces written by them in the near future on Clearly New Mexico! On Wednesday, Governor Susana Martinez lost another case before the New Mexico Supreme Court. This one involved the state’s high court telling the Governor that vetoing a single digit from an appropriation, in this case slashing a $150,000 to $50,000, overstepped her authority as laid forth by the state Constitution. The illegal veto would have slashed money appropriated to the New Mexico Mortgage Finance Authority. Two state Senators and two members of the state House of Representatives filed suit to invalidate the veto. The Supreme Court ruled unanimously against Martinez’s veto. Reps. Luciano “Lucky” Varela of Santa Fe and Henry “Kiki” Saavdera of Albuquerque were also party to the lawsuit and the four legislators split the cost of bringing the lawsuit. This isn’t the first setback in the Supreme Court by the Republican governor. Martinez defended her vetoes by noting that governors had previously used similar line-item vetoes. These were 70 years ago and were not challenged at the time. The Supreme Court did not make a decision on another lawsuit that Martinez is facing over one of her vetoes. The lawsuit contends that Martinez’s line-item veto of the portions of an unemployment insurance bill that raise revenue is illegal. The six lawmakers filing suit against Martinez argue that the bill does not appropriate money and therefore cannot be line-item vetoed. The Greater Albuquerque Chamber of Commerce and the Association of Commerce and Industry both backed the bill that would stave off insolvency in the state’s unemployment fund. Already most states in the country have seen their unemployment funds go broke. Brian Sanderoff didn’t say it in so many words but the implication was clear – not all of the legislators’ seats will survive this year. This means that there could be potential races between two incumbents in 2012. In other words, don’t count on incumbents being fully protected in the new maps. This is because while New Mexico’s population grew 13.2 percent between the 2000 and 2010 censuses, the growth was not even throughout the state. The most explosive growth occurred in Albuquerque’s Westside and Rio Rancho. Meanwhile portions of northeast and southeast New Mexico couldn’t keep up with the growth and are in danger of losing seats to Albuquerque. The meeting outlined the principles in which they must follow in creating districts for congressional districts, state House and Senate districts and other districts throughout the state. The two main principles are to make the districts close to equal in the amount of voters in each district and to follow Section 2 of the federal Voting Rights Act. Attorneys Luis Stelzner and Michael Browde, and Brian Sanderoff, president of Research and Polling, Inc., are assisting the state legislature with the redistricting process. “With respect to Section 2 of the Voting Rights Act, it is a federal mandate that you do not dilute the voting power of ethnic or language minority groups,” Browde told the redistricting committee. These include Hispanics, Native Americans and African-Americans. Sanderoff unveiled a series of conceptual congressional maps for New Mexico. While New Mexico had growth in the last decade it did not grow fast enough to be awarded a fourth congressional district. Congressional districts must be changed to be as close as possible to even which means that the 1st Congressional District, which is centered around Bernalillo County, is too large by 15,546 residents and the 3rd Congressional District, which covers northern New Mexico, is 6,891 over the ideal district population. The 2nd Congressional District, meanwhile, is 22,437 people under the ideal district population. These numbers come from dividing the 2,059,179 residents of New Mexico, according to the 2010 census, by three. Sanderoff unveiled eight maps which he said he hoped would promote discussion. When talking about Concept Map D, he misspoke and said it was intended to provoke – however the slip of the tongue might be accurate considering the radical changes it would make. The Concept D map would place Rio Rancho and Albuquerque in the same congressional district and move the South Valley, a traditional Democratic stronghold, to the 2nd Congressional District. When Sanderoff outlined the changes the crowd in the room audibly gasped. The map would also move Cibola, Catron, Torrance, Guadalupe and DeBaca counties as well as parts of Socorro and Roosevelt counties into the 3rd Congressional District. The map would also have all of Valencia and part of Bernalillo county moved into the 2nd Congressional District. Other unlikely maps were shown just to promote discussion. This included one district which would put Eastern New Mexico into the 2nd Congressional District. While Research and Polling put forward the eight concepts the committee would have a say in the maps and the Legislature and governor would have the final say in the districts that have the potential to shift political power for the next decade and potentially longer. The current maps are actually largely based on the maps passed by the legislature in 1991 after then-governor Gary Johnson, a Republican, vetoed the districts passed by the legislature. A judge then drew the boundaries to state House and congressional districts by changing the districts as little as possible. The state Senate boundaries were created later after a legislative compromise because the state Senate was not up for election until 2004. While there must be “almost absolute equality” in congressional districts, Browde told the committee, “that rigidity is not required” when it comes to the state districts. The rule of thumb is that districts can be within plus or minus five percent of the ideal population. Sanderoff later said that legislators can legally use the plus or minus five percent number as long is it isn’t “for an evil reason.” That is, no gerrymandered districts. One big concern from legislators on the committee came from possible litigation over the districts. Attorney Luis Stelzner told the committee that the litigation in the 2001 redistricting cost the state over $3.5 million. Any voter in New Mexico can challenge the finished maps and a number of committee-members spoke about limiting the cost. Speaker of the House Ben Lujan, D-Nambe, said that in 2001 attorneys, consultants and others from outside the state collected legal fees from the state after the litigation over the redistricting. This was the first of nine meetings of the committee throughout the state. The final meeting will also be in Santa Fe on August 31 where the committee will seek to approve maps for the special session to choose from. In 2001, there were 14 public meetings. However the redistricting committee had its budget reduced after Gov. Susana Martinez vetoed $100,000 in funding for the redistricting committee. The 18-member committee is made up of11 Democrats and seven Republicans. Another 23 lawmakers serve as non-voting advisory members. The redistricting process faces a completion deadline of October 1. That is the date when petitions to appear on the primary ballot can begin to be circulated. Candidates will need to know which district they are running. The committee may ask Governor Susana Martinez to issue a special session on either September 6, the day after Labor Day, or September 12. Some committee-members expressed concern that the Santa Fe Fiestas would drive up the price of hotels for legislators not within driving distance of Santa Fe. In early 2009, the authoritative ratings agency Moody’s assigned an ‘Aa2’ rating to the Albuquerque Bernalillo County Water Authority (ABCWUA). This is good news for the Authority: the high rating ensures low interest rates on any bonds they might issue. And they have been issued: If the ABCWUA is a house, then it is mortgaged to the hilt: the Authority has about $2000 in debt for each one of its customers. It is strange to read about the Water Authority from the perspective of national or international bond investors. Instead of water availability, Colorado River flows above El Vado, or average customer use, Moody’s analysts were more concerned about “customer growth” and the effect that slowing construction of new residences might have on the Authority’s short-term growth. This dovetails with another favorite past-time of financial analysts, real estate speculation. Because tax increases are so unpalatable to Americans, city governments are often hamstrung by their own success. Low taxes attract businesses (for example Intel), but higher taxes to pay for deferred costs like water use and street improvements are politically unpalatable. Speculators can thus count on friendly city managers, willing to do anything to attract business to their own city in order to attract “jobs”. But how does a city with a complete inability to raise taxes or utility rates continue to provide essential services? Until recently, the solution has been Gross receipts: So long as Albuquerque continues to grow at a healthy pace, property sales and construction give the state a steady flow of income. Any city manager is thus faced with a unique problem: how do you keep up with increased demands for government services (like better water treatment) without raising taxes? Until now, the solution has been to grow, and when growth has been anemic, issue bonds. Hence the concern with growth that the Moody’s analysts linked above express. Anything less than 2% growth means that Albuquerque becomes a debt basket case in record time. There is nothing inherently wrong with bonds; the ability to efficiently distribute wealth has been a hallmark of Western society’s growth since the 16th century. Conservative historians argue that the Italian invention of double-entry book keeping and other European innovations in finance and accounting are responsible for the Western world’s higher quality of life. When growth is desirable, bonds can help a city or a country build necessary infrastructure, which they pay for later with a larger, more productive population. But in a city like Albuquerque which has already seen its fair share of development, bond issues can take on a pernicious role, encouraging growth for its own sake rather than Albuquerque’s general well-being. Susana Martinez – outlining seven principles for Medicaid Reform. A day before the Health and Human Services Interim Committee met and heard from the NM’s Human Services Department (HSD), about their plans to redesign the state’s Medicaid program, Gov. Martinez joined several of her colleagues in signing on to a letter calling for the “full repeal” of the Federal Health Reform Act (otherwise known as the “Patient Protection and Affordable Care Act” – or PPACA). The repeal-support letter, written as a response to a report released in March, by Senate Finance Committee Ranking Member Orrin Hatch (R-UT), and House Energy and Commerce Committee Chairman Fred Upton (R-MI), reiterates the claims made regarding costs that the states would assume, by expanding Medicaid under PPACA. According to the Hatch-Upton report, it “conservatively estimates” that the PPACA Medicaid expansion would “cost state taxpayers at least $118.04 billion through 2023” – and provided state-by-state projections. 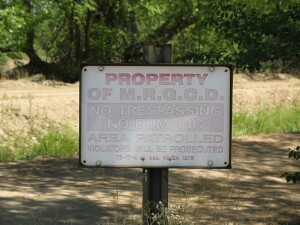 MRGCD Sign by teofilo on Flickr. In high school (and, I suppose, today) I always had a certain contrarian streak: I enjoyed being the devil’s advocate, both because it garnered bemused attention from the cute girls who, because of smarts or neuroses, still paid attention in ‘modern European history’, even after we’d all gotten into colleges or been hired by electricians (this being the final semester of our senior year). One day, I remember staking out the position that only people who paid taxes should be allowed to vote in America. This gave rise to a lot of bemused arguments in the class; many were horrified that the idea would even come up; no one seemed to have an adequate retort. But if a system of voting where only taxpayers or property owners were allowed to vote sounds feudal, almost medieval, that’s because it is. But you don’t have to consult your old history coursebooks in order to find such systems and discover how they operated. Albuquerqueans (or ‘Burqueños’ if you will) already have just such a system in their own backyard: the Middle Rio Grande Conservancy District. Responsible the distribution of surface water for agriculture and recreation between Cochiti reservoir and Socorro, the district is more powerful than you might think. 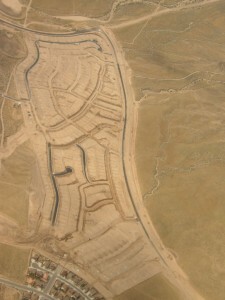 It assesses property owners within the boundaries of its flood control constructions for its own operation. Only people who own property on the ‘flood plains’ of the Rio Grande are assessed, and at first glance it seems rightfully so that they should be the only ones who are allowed to vote in its elections. But only those who own property in the conservation district are actually allowed to vote. Last week, elections for the MRGCD’s board took place, with a grand total of 3,842 ballots cast. It’s difficult to estimate the total population of people living within the district’s lines, but one would think that an area encompassing the entirety of the Rio Grande from the Cochiti Dam to the San Acacia Diversion near Socorro (4 counties with a total population of 888,560) would have slightly higher voter turnout. But okay, if this is really just about farmers getting their pre-existing water rights and urban populations having nice, pleasant ditches to run next to before they head downtown for work, then the issue wouldn’t be so important. Increasing administrative efficiencies by combining all our waivers into a single waiver so we can manage the program – rather than the waivers. – While members of the HHS committee generally agreed that we should pay for outcomes, various legislators raised some pretty good questions about the proposed “financial incentives” – specifically, what would be incentivized, how it would be reported, and to whom. – A handful of legislators also inquired as to why the department was essentially proposing concepts for “accountable care outcomes” that were outlined in a bill that was pocket vetoed by the Governor earlier this year (HB34). – Members of the committee also asked what the “single waiver” proposed by the HSD would look like – specifically, what parts of the state’s Medicaid program would the department want the federal government to waive? Despite no provable cases of voter fraud in recent New Mexico electoral history, Secretary of State Dianna Duran is turning over 64,000 cases of what her office calls potential voter fraud to the State Department of Public Safety. Experts, however, say there are more likely explanations. The experts the numbers are likely due to a “list management problem” or clerical errors. People frequently use different variations of their first names, she (Santa Fe County chief deputy county clerk and former state elections director, Denise Lamb) said, such as “Tom” instead of “Thomas” or “Patty” instead of “Patricia.” People aren’t always quick to report changes of addresses to the MVD, Lamb said. Frequently people mistakenly transpose numbers in addresses or Social Security numbers, she said. University of New Mexico professor Lonna Atkenson wondered why Duran turned the information over to the State Department of Public Safety instead of to individual county clerks to identify the problems. One reason may be that Duran has made it one of her main goals to prove voter fraud. During the 2011 legislative session, Duran testified that 37 foreign nationals illegally voted in elections out of 117 who had illegally registered. Duran was speaking during a hearing on voter ID, a topic that Republicans have favored in recent legislative sessions but has yet to gain any traction in the state legislature. However, Duran refused to release documents pertaining to the claims to the American Civil Liberties Union of New Mexico and a number of media outlets that requested the information using the Inspection of Public Records Act (IPRA). ACLU-NM director Peter Simonson told Clearly New Mexico that the documents were so heavily redacted as to be essentially useless. Heath Haussamen of NMPolitics.net outlined similar problems and wrote in a commentary piece, “I’ve identified several potential IPRA violations stemming from her office’s dealings with me.” These included saying that the documents were part of an active investigation and so could not be turned over for Haussamen’s IPRA request. Santa Fe New Mexican political reporter Steve Terrell wrote about not receiving any documents as well. The Secretary of State’s office used similar, if not identical excuses, as it did when rejecting Haussamen’s IPRA request. Duran’s news came the same day that an opinion piece in Politico by constitutional law and election law professor at Loyola Law School outlined “the real victims” of voted ID laws. Some are hurt more than others by this. Roughly 18 percent of seniors don’t have the right ID. Only 5 percent of Anglo voters but at least 10 percent of African-American voters and 11 percent of Latino voters don’t have the right ID. Previous investigations into widespread voter fraud have come up empty with incidents being few and far between in the state. In 2009, Lamb helped catch one case of a realtor attempting to get an absentee ballot for her deceased brother. The same year an unrelated case involved a former judge from El Paso attempting to declare himself a resident of Sunland Park so he could run for a position as a judge there. Gov. Susana Martinez campaigned on something that she called voter fraud but which could be more accurately described as a case of incompetence by a county clerk rather than any attempt at voter fraud. The New Mexico Construction Industries Commission voted to roll back energy efficiency standards in building codes Friday afternoon. The 7-1 vote came after a lengthy executive session. The vote rolls back energy efficient building codes after a short process. There were four options for public comment on the new changes in four cities on one day throughout the state. The vote was in the first meeting of the commission since it was largely replaced by members selected by Gov. Susana Martinez. The codes that the commission voted to end were the result of more than a year of work, including public comment, under the Bill Richardson administration. Builders were split on the idea of whether or not to back the changes to the building codes, the Associated Press reported earlier this month. New Mexico Home Builders Association CEO Jack Milarch said he supported a repeal of the codes. Commissioner Patrick Casey of Silver City was the lone commissioner to vote against the codes. The code rolls back building codes to the lowest possible for New Mexico to receive stimulus funds from the Department of Energy. These are the codes that were in place in 2009. The decision to roll back the energy efficiency codes came from Gov. Susana Martinez’s Small Business Task Force which Clearly New Mexico found “dominated by long-time lobbyists for large corporations” and not small business owners. The energy efficiency code rollback was introduced by Kevin Yearout who sat on the task force. Yearout and his wife each donated $5,000 to Martinez’s campaign and Yearout Mechanical donated an additional $10,000 to her successful gubernatorial campaign. The commission is filled with almost completely different members from when Richardson was in office. Dale Dekker, an Albuquerque architect, was the only member of the commission who is a holdover from Richardson’s administration. Dekker donated $500 to Martinez’s campaign. Public comment was limited to two minutes per person and five minutes per commenter. Shrayas Jatkar of the Sierra Club New Mexico said there was a “stark difference” from the process last year to this year. He criticized the commission for not discussing the changes before voting. “It took 14 months to develop the code last time around and there were open meetings,” Jatkar told Clearly New Mexico in a short interview. “This time there was no reading of the number of public comments registered,” Jatkar said, whereas last time the codes were changed they read out loud how many people supported the changes to the codes and how many opposed the changes. Chairman Baker briefly made comments before the vote on how difficult the decision was for the commission. When Richardson moved to strengthen the energy efficiency codes it took 14 months and involved a committee that had a number of builders, including representatives for the New Mexico Home Builders Association. Executive sessions are used when discussing sensitive matters and the public is cleared from the room. The executive session lasted more than two hours during Friday’s meeting and caused about one-third of the 60 or so attendees to leave.